Team GolfWRX is in Orlando to be your eyes and ears at the 2015 PGA Merchandise Show. 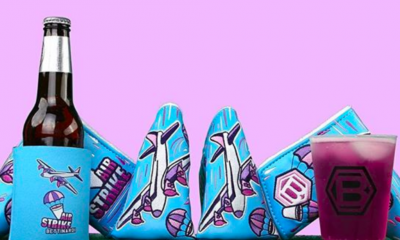 Enjoy our last edition of “Show Stoppers” — the newest, coolest products we found at Demo Day and inside the Orange County Convention Center. 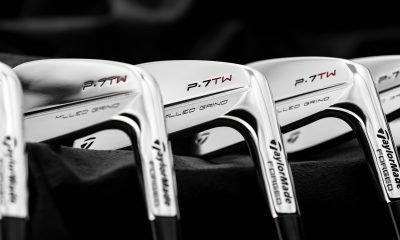 In the realm of golf club fitting, wedges are far and away the most complicated. There’s so many variables to consider: loft, bounce, a golfer’s swing, the course conditions, etc. 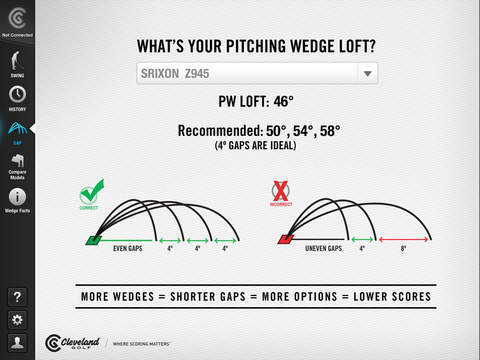 Cleveland’s new Wedge Fitting App works in tandem with SwingByte to make the fitting process painfully simple. 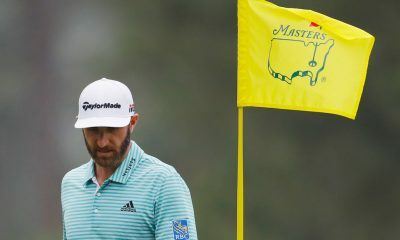 To get fit for a wedge, all golfers have to do is select their course conditions and make a swinging motion of their choice (chipping, pitching, a flop shot, etc.) 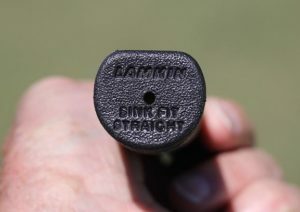 with a club equipped with SwingByte. 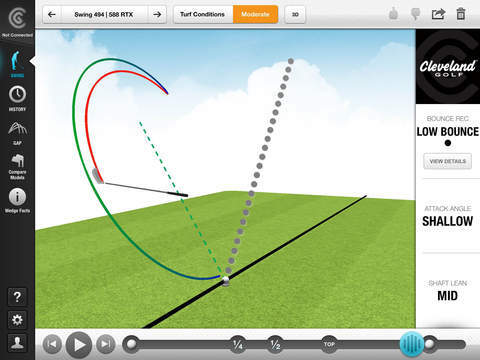 The free app uses an algorithm based on angle of attack and several other variables to recommend one of Cleveland’s three different wedge grinds, and can also recommend wedge lofts based on what set of irons a golfer plays. 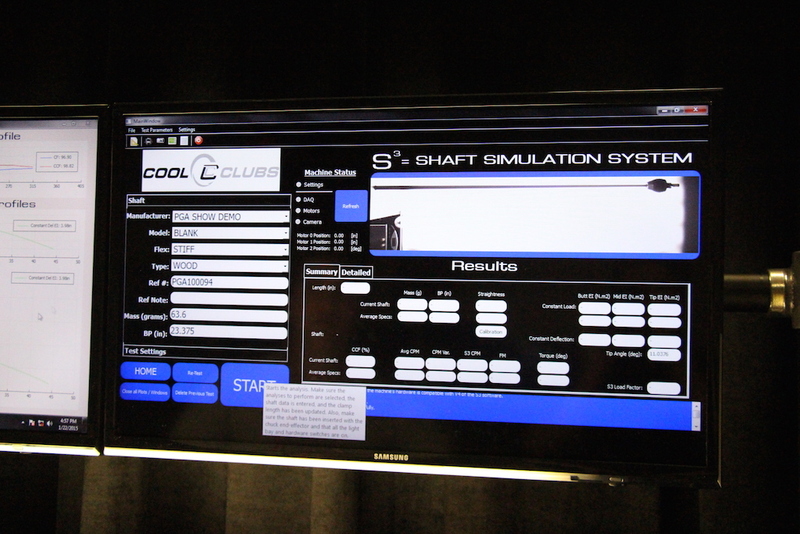 Scottsdale-based custom club fitter Cool Clubs hopes to make shaft fitting simpler with its new S3 Shaft Analyzer, which measures every important shaft parameter — straightness, consistency, deflection, stiffness profiles, frequency, torque and more — on a single machine in just 2.5 minutes. 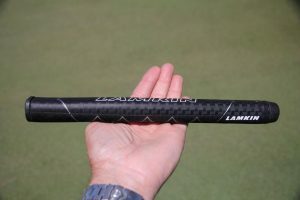 The S3 was designed and built by Cool Clubs, and the company has published data of more than 1000 driver shafts on its mobile app. 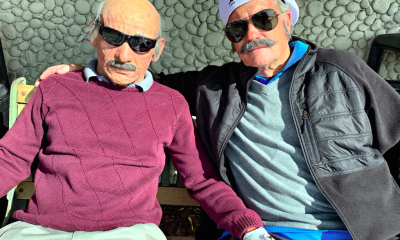 The app is free, but gearheads will want to pay $20 for a 1-year subscription that unlocks all of Cool Clubs’s shaft data. 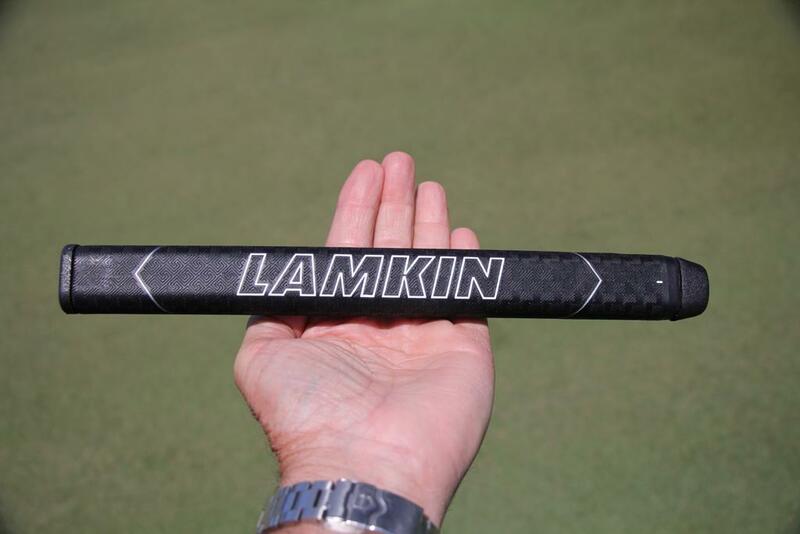 The company plans to perform similar tests to each shaft category going forward. 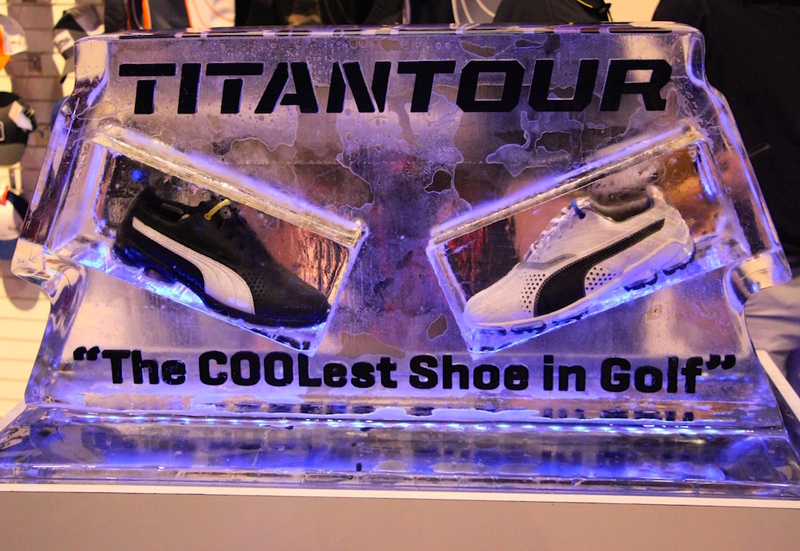 Puma’s new TitanTour shoes are designed to keep your feet cool, but we’re not sure the shoe – or even the ice sculpture shoe display – can cool down Cobra-Puma brand ambassador Blair O’Neal. The shoes are designed to regulate temperature by using Outlast Certified Space Technology — designed for NASA to manage temperature in spacesuits — which explains the astronaut mannequin trying to photobomb our photo of Blair. 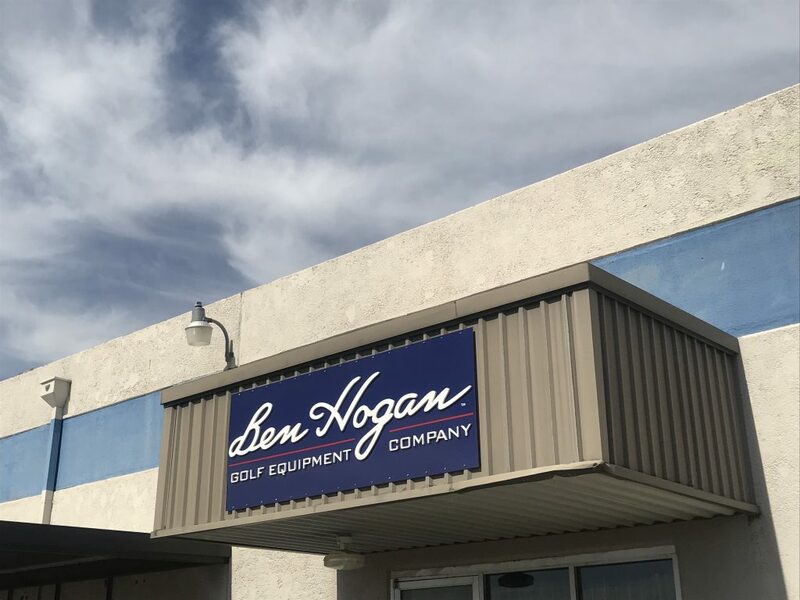 To learn more about the TitanTour shoes, click here. 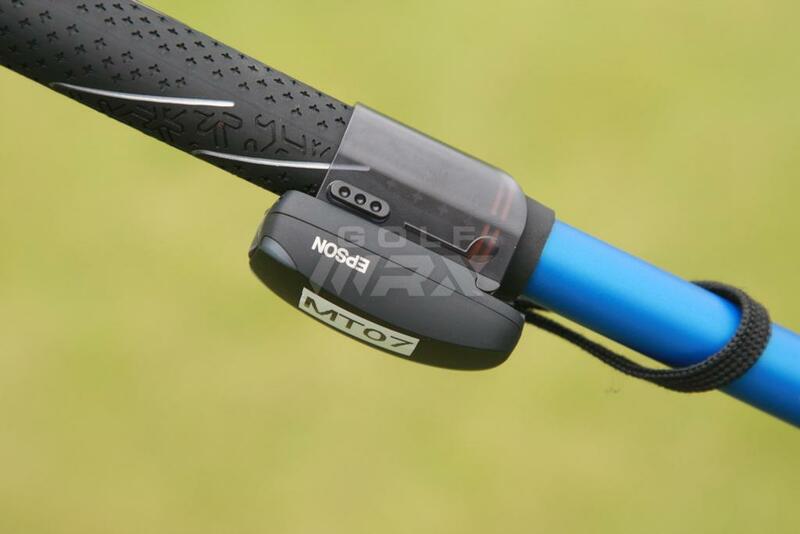 Epson’s M-Tracer MT500GII is the latest in the fast-growing category of lightweight, affordable golf swing analyzers. 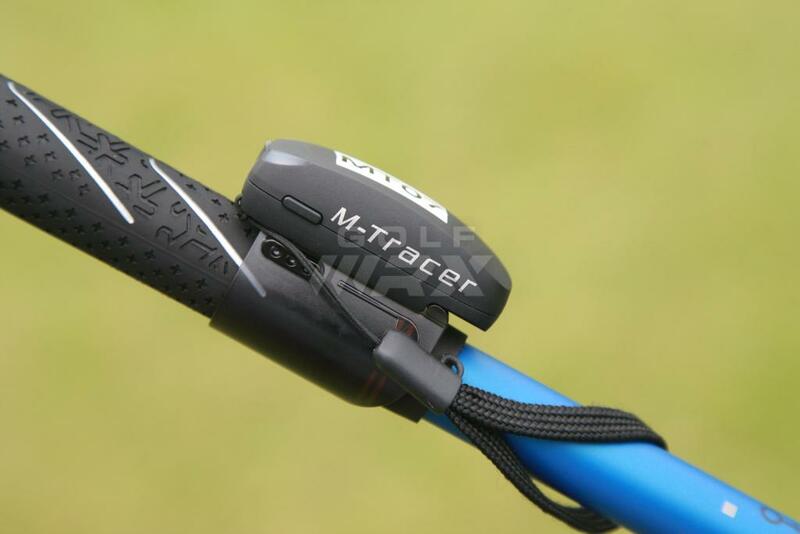 The M-Tracer weighs a featherlite 15 grams and a built-in inertial measurement unit, derived from Epson’s industrial sensors, providing golfers with detailed information about their club head speed, swing tempo, face angle, club path and more. The device is part of Epson’s new Active product category, a line of sports and fitness devices that the Japanese electronics company has developed to give athletes accurate, easy-to-understand data on their performance. The M-Tracer measures the swing at 1,000 samples per second and uses bluetooth to wirelessly transmit swing data to iOS and Android devices. 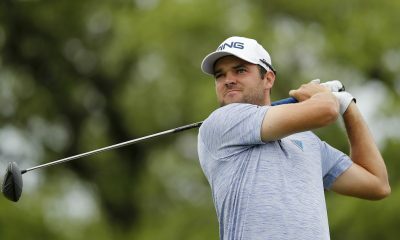 It works with Epson’s M-Tracer app to create a 3D “trace” of the club head, further in-depth analysis and allows golfers to store up to 3,000 swings of a golfer’s swings in the cloud, according to Epson representatives. 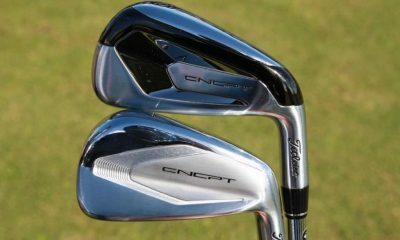 The device will be available March 15 at endorser David Leadbetter’s Academies and through Epson’s website for $299. 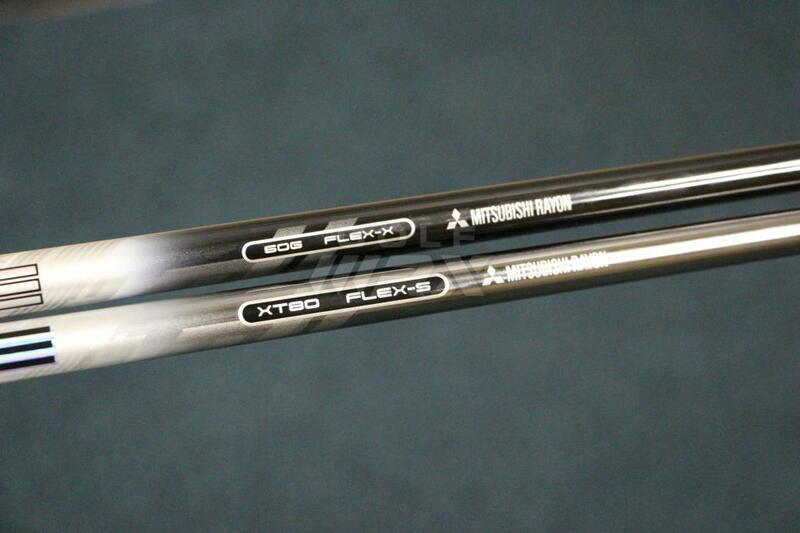 The prototype shaft Mitsubishi Rayon shaft used by Adam Scott and Rory McIlroy is coming to retail. 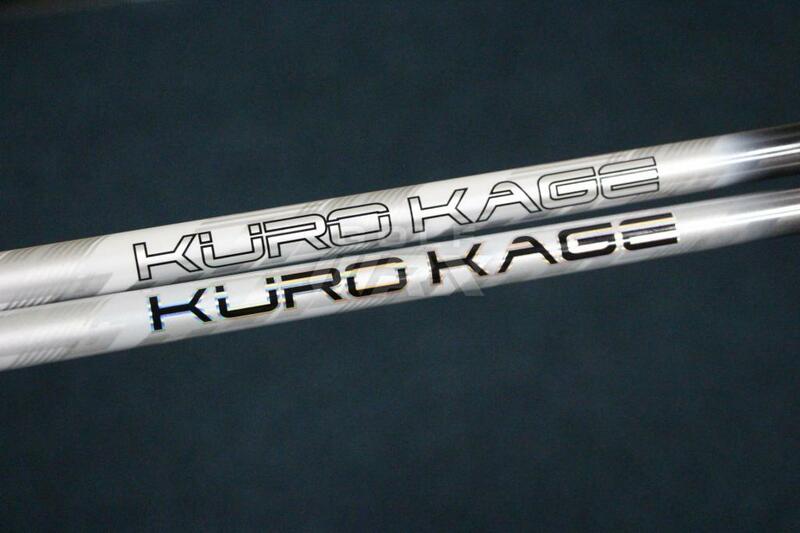 It’s called the Kuro Kage XT and is manufactured in the company’s Toyohashi facility in Japan with a higher grade carbon fiber material that gives the shaft less torque and a stiffer tip than Mitsubishi’s Kuro Kage Silver TiNi shaft. The KuroKage XT (bottom) has an ion-plated finish. It will be available in April and will sell for $400. 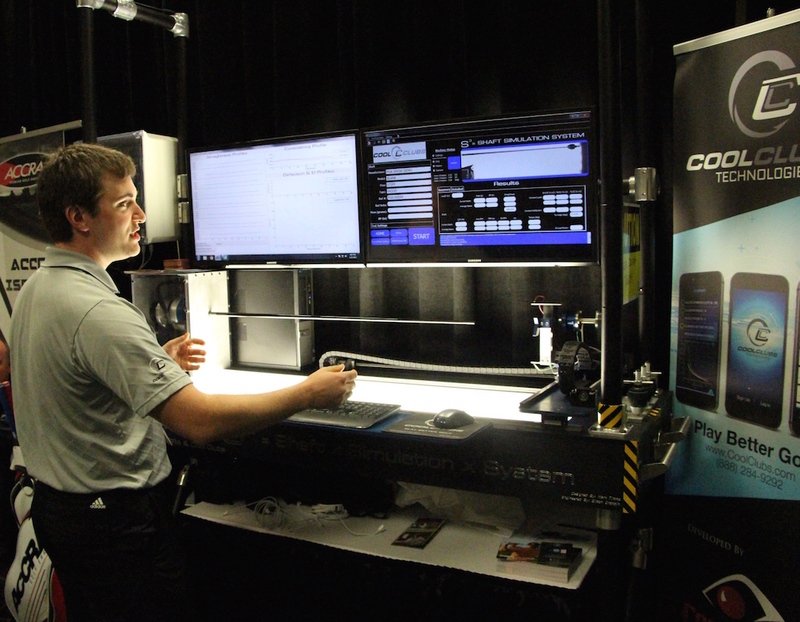 There’s a few scratch golfers on the GolfWRX team, but the putting analysis and training system made the SAM PuttLab exhibitor say “Yikes” to our strokes. 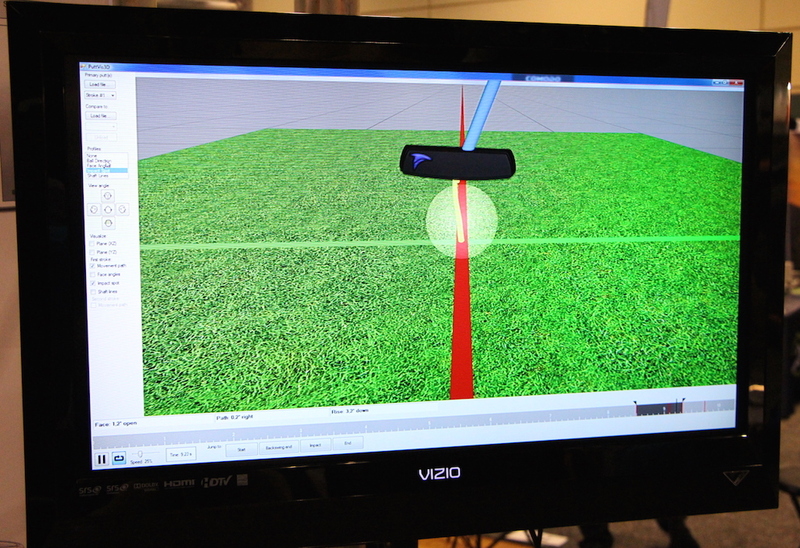 The new Sam PuttLab 5, which uses ultrasound technology and algorithms to track the movement of your putter head, now allows the golfer or fitter to watch a 3D replay (below) of the stroke. 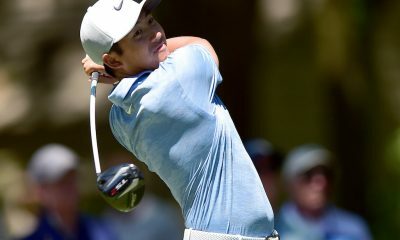 It’s like watching your stroke on TV – even though some of GolfWRX’s putting strokes were made for radio. 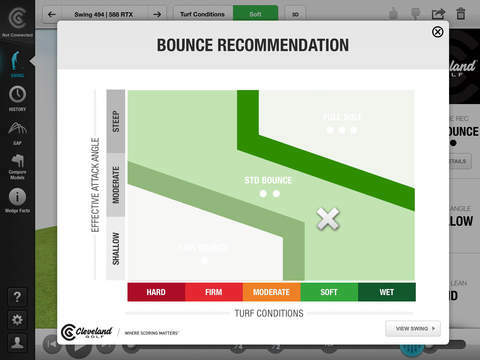 SAM’s new PuttLab App also allows users use their smartphone as a remote control for the PC software and share their data results on social media. 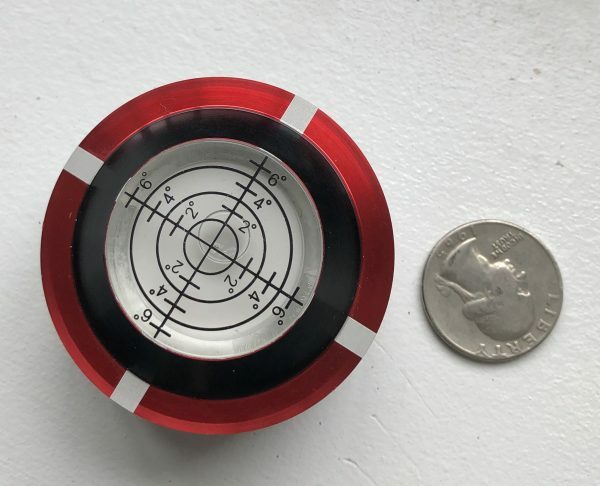 Always wanted a PuttLab? 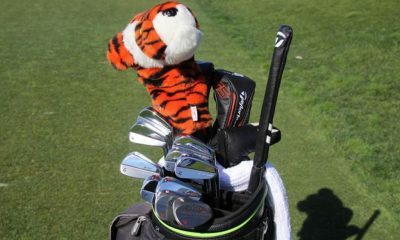 The company has a PGA Show discount running through Feb. 15, which gives consumers a $500 discount and free shipping. 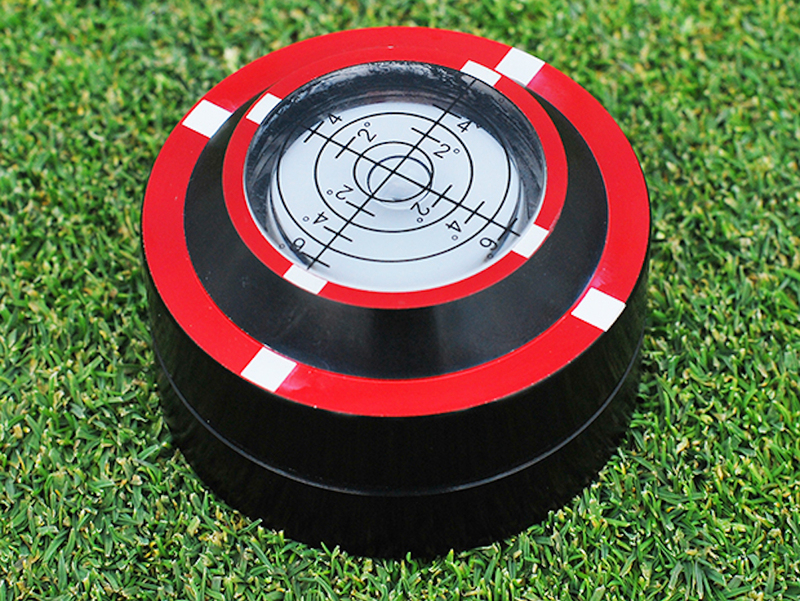 Sam PuttLabs start at $6,495. Visit our 2015 PGAM forum to see all the photos and discussion. That Cleveland wedge analyzer was right on point when I tried it at the show. 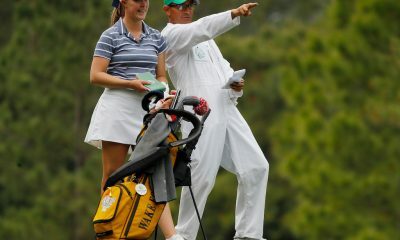 It validated what I knew all along about my swing, which is that I sweep the ball. 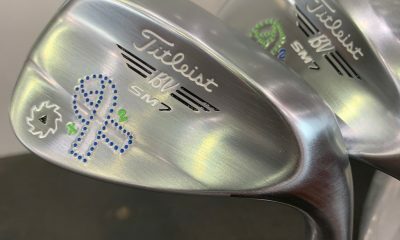 Therefore, it recommended their 1-dot wedges (something with less bounce), which also helps with the playing conditions I play in. Also, I would like to mention that the new version of the Srixon Z-Star that was given to me at the show has noticeably more spin on it than the 2013-2014 version. Those with swing speeds under 105, I’m 92, will appreciate the better feel of the ball and increased spin. We’re happy to have made the news! 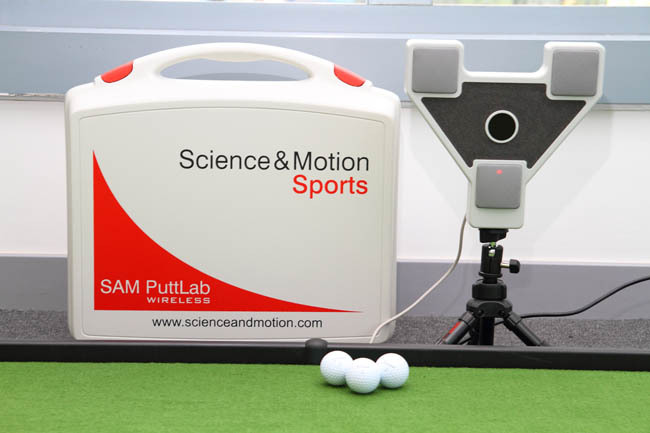 SAM PuttLab & BalanceLab are constantly being improved. Our new 3D replay is very exciting. 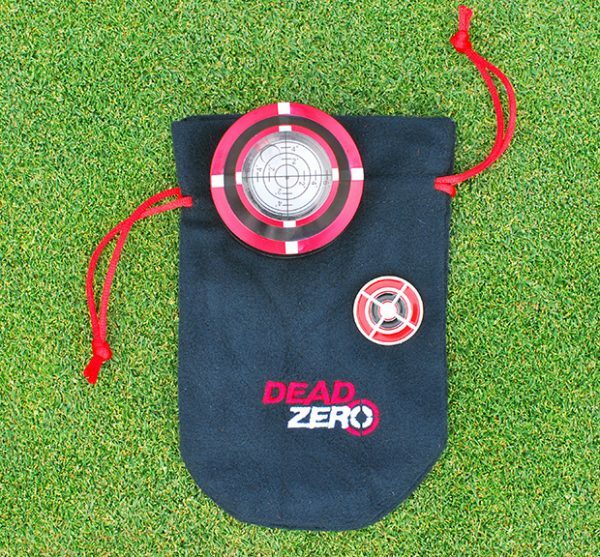 I combined both technologies with my Putting Perfection Platform to great reviews… By those who experienced it. 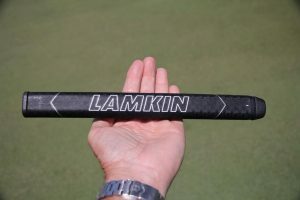 Check the Putters forum for more info. Seriously? So nothing. There was nothing new or interesting to the average wrx reader? I guess you should skip putting this up and focus on other fun and interesting facts about the show because this is s###. C’ mon man. 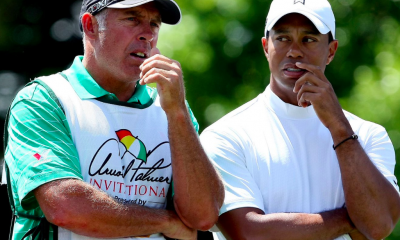 This is what’s boring golfers into doing something different. 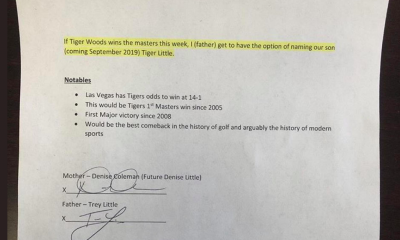 I’m a golfer and ready to take up bowling after reading about this crap! Please see my comment below. You need to look more closely at the pictures my friend. Wow. Four swing analyzers and a pair of shoes. That’s all you got? Snooze…..
Are you kidding. Did you see Blair O’neil?